Korean Pop boy band BIGBANG has been rocketing up the charts with their sophisticated blend of catchy hooks, hip hop beats, and edgy fashion. Now, the K-pop stars are taking their fun and futuristic jams to the US during a leg of their ‘MADE’ 2015 World Tour. Before you take your seats to see these thrilling superstars, here are ten music videos from this South Korean sensation to whet your appetite. The boys scored big with their breakthrough hit “Lies” in 2007, which spent a record-setting seven weeks at the top of Korean Pop charts. The video focuses on a young lady dealing with a traumatic experience as BIGBANG sings what she’s thinking about. Another early hit, “Haru Haru” helped the band break into Japan where they continue to be a must-see act. The video is an original take on a love triangle song, complete with a theatrical rivalry between band members and a heartbreaking ending. “Tonight” shows the boys celebrating their success in fabulous Las Vegas, using their masterful pop as the soundtrack. Their first foray into electronica, the song helped the band take charge of their musical destiny and find their own unique voice. This back-to-basics video features the boys dancing in a desolate landscape that emphasizes the heartbroken sentiments of the song. Still, it’s the soaring melodies and glistening harmonies that make this vintage BIGBANG. 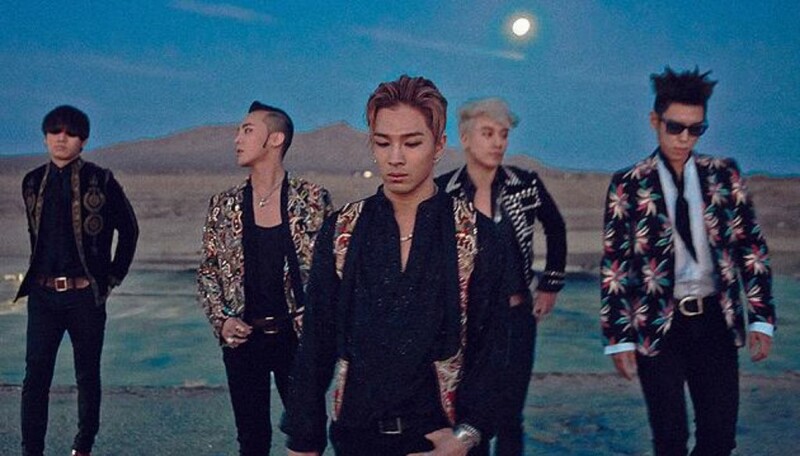 BIGBANG unleashed one of their best hip hop beats for “Bad Boy”. The video maintains an effortlessly cool vibe as each member raps and sings about their doomed love affairs. One of the group’s most adventurous videos, BIGBANG successfully combines their electronica influences with sci-fi visuals on “Fantastic Baby”. The infectious new sound pointed the way forward, as the group’s members became increasingly more involved in their sound and style. Immediately after “Fantastic Baby”, the boys released a more traditional pop ballad “Monster”. However, the group is visually daring as ever, displaying a war-torn landscape complemented by video game-inspired special effects. The video to this club-ready romp is an interesting mix of Alice in Wonderland visuals set to a seductive beat. The colorful costumes and crazy style give you just a taste of what this k-pop powerhouse has planned for their American shows. “Bang Bang Bang” shows the band experimenting yet again, as they incorporate one of their most memorable hooks during the breakdown of the chorus. The video is just as fun, featuring larger-than-life dance scenes that match its larger-than-life sound. BIGBANG’s most recent video eschews their usual big budgets and insane graphics in favor of simply showing the quintet horsing around. The tongue-in-cheek approach perfectly reflects the sunny vibes and uplifting boom-boom-clap beat of the song.